If “Fat Loss” is so simple, then why is everyone still fat? Recent studies show that 95% of dieters regain the weight they lost and more often than not end up heavier than when they started. What do the 5% who lose weight and keep it off know that the others don’t? Let’s solve this once and for all right now. If you’re anything like my clients, at some time or another, you’ve wondered to yourself, “Why don’t diets work?”. Maybe you’ve seen it in your friends – they will try the latest diet craze – low carb, low fat, low calorie, whatever it may be – and it seems like no matter what they do, as soon as they finish the diet they gain all of their weight back? Or worse, end up heavier than when they started? I mean, it’s well documented in government literature what the best guidelines for healthy eating and living are…it’s not like people don’t know what to eat and how to live to be healthy…right? And yet, more people than ever before in human history are obese, and not only that, the GROWTH rate for obesity is continuing to increase. So not only are we getting fatter, but the RATE at which we are getting fatter is increasing as well. It seems to me like the current “mainstream” nutritional and health guidelines are…well, misguided. I mean, if they were correct, wouldn’t we all be a healthy, happy population? 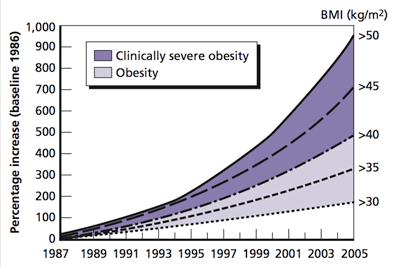 Wouldn’t this obesity epidemic not even exist? Albert Einstein (a very smart man, I might add) once said that the definition of insanity is doing the same thing over and over again and expecting a different result. And yet here we are, doing exactly just that – following guidelines that continue to only produce an unhealthy, obese population, expecting them to provide us with a different result. When it comes to fat loss and healthcare, I’d say we’re downright certifiable. How many “burn fat in just 5 minutes a day” infomercials can we watch? How many fat loss pills, gimmicks, and gizmos can we buy? It’s madness. And it’s time for it to end. If I were a cynic, I would just chalk up our losing obesity battle as a hopeless state of affairs and move on with my life. Fortunately, I’m not a cynic. Instead of just accepting things as they are, that fat loss is just a matter of counting calories, hours and hours of cardio, and eating whole grains, I spent the last 10 years learning the real truth about fat loss. I’ve worked with over 750 clients, read over 600 books, research papers and scientific journals, and spent over 10,000 hours working, learning, and researching how to become as healthy as possible, in the trenches. And I’ve discovered that the majority of weight loss information that is out there isn’t just making you fat – it’s KILLING you. And I’d like to share all of my learnings with you – but only if you agree to one condition. You need to forget everything that you think you know about diet, health, fitness, and fat loss and have an open mind to what you are about to read. Because if you’re attached to the idea that fat loss is simply a matter of calories in vs. calories out, or that saturated fat is going to give you a heart attack, then you may be surprised by what I have to say. If you’re skeptical, I understand. I was too when I first started my research into true health. I walked across the stage at my University graduation thinking that I knew everything there was to know about fitness, nutrition, and health. Of course – I didn’t know anything. I was just a representative of the processed food industry. If you wanted my diet and nutrition recommendations, I’d just point you to the USDA’s website to get you familiar with their food guide pyramid. I’d tell you that eating according to that guide would take you on the path to better health. And, as horrendous as my dietary recommendations were, my approach to personal training may have been worse. I promised to give my clients speedy fat loss, and instead gave them, well, cardio. Each week, clients were commanded to come in and burn as many as 7,000 calories on their cardio machine of choice. Not only was all of that cardio brutal and inhumane, it was just plain stupid and a remarkable waste of time. It simply didn’t work. After all the treadmill mileage and prolonged semi starvation, my clients weight seldom budged. Sometimes their weight even went up. But that was because they put on muscle, right? (wink, wink!) and when the scale moved in the right direction, the results never lasted for more than a few months. The pounds ALWAYS came back, and then some. Like a typical trainer, I got on the defensive. They must have cheated on their diets. Whatever was going on here had nothing to do with my ingenious scientifically proven program. Calories in, calories out. It’s the law of thermodynamics! How hard could it be? Instead of questioning it, I would just increase their workout intensity and length. Except that didn’t work either. Along with all of that, I had plenty of health issues myself. I was an exhausted, depressed, anxious individual who never left the house. I had digestive issues and my temper was out of control. I was supposed to be this healthy personal trainer, and yet my mood got so bad that I had to turn to prescription antidepressants. Apparently, my brilliant, “scientifically proven” health program wasn’t working for me either. I found zero satisfaction in knowing that I spent tens of thousands of dollars and six years on a university education – studying health so I could be sick and get paid to make people fatter. This couldn’t be how health worked. This wasn’t even supposed to be how LIFE worked. Human’s aren’t supposed to be doomed to obesity, depression, anxiety, and temper issues, right? there were tons of healthy, fit people out there — what was I doing wrong to myself? And even more importantly, what was I doing wrong to my clients? The Problem: Calories In – Calories Out DOESN’T WORK. You see, as I did my research, I quickly realized how silly the concept of “Calories in, Calories Out” was. It simply does not work. Basically, Calories in, Calories Out is the claim that if you simply take in less calories than you expend for energy, you will lose weight over time. It’s based on a law of physics called the Law Of Thermodynamics. But let’s set aside the physics for a second and consider common sense in REAL LIFE. How many people do you know that have cut their calories while exercising more and been able to lose fat long term? And by long term — I don’t mean 2 weeks. I mean after 6 months, were they able to keep the weight off? And it doesn’t just stop with your friend. When I was a newbie personal trainer, my “calories in, calories out” based workouts and diet plans didn’t work either. Clients would start with me, ready to take their fat loss to the next level — and things would go well for about a week or two. Then they would hit a wall. I would try to help them push through that wall by having them do unending cardio sessions and eating less calories — but inevitably, they would burn themselves out. I mean, imagine how you would feel eating only 1,000 calories and doing 2 hours of cardio every day! Eventually, my clients would end up right back where they started, or even worse, put on a few pounds. It’s time for something new. We need a new fat loss paradigm. You see, this calories in, calories out concept tries to simplify fat loss into a math problem. This “math problem” implies that someone who knows basic math and has a little willpower can peel their fat off like an extra layer of clothing simply by eating less and moving more. It’s a little bit more complicated than that. But if that isn’t enough to convince you, let me tell you my personal story with calories in, calories out. When I graduated from college 10 years ago, I weighed 171 pounds. Pretty solid. Now, I don’t make it a habit to use the scale, but on a whim I saw today that my body weight is still 171 pounds. According to the calories in, calories out proponents, in order to keep my weight the same over the last 10 years, I would have had to eat EXACTLY the same amount of calories as I was expending for energy. For 10 years. That means if I had even just TEN calories over my limit per day then I would have 10.4 extra pounds of fat on my body right now. And my credibility would be shattered. To clarify what 10 calories actually IS – it’s 1.5 almonds. So if I just had 1 and a half almonds more than I was supposed to, I’d be 10.4 pounds fatter right now. And yet, here I am, standing before you at only 171 pounds. Am I the only one who finds this incredible? If this isn’t enough to prove that calories in, calories out doesn’t work, then I don’t know what is. The fact is, when you restrict your calories to try to balance the calories in, calories out equation, all you get is ravenous hunger and a slower metabolism. Let me give you a real life example. When your vehicle is running low on fuel, you act accordingly. You might take it easier on the gas pedal, you coast down hills, and you keep your eyes peeled for the nearest gas station. You do this to conserve gas so that you’re not stuck on the side of the road with your thumb out begging for a ride. 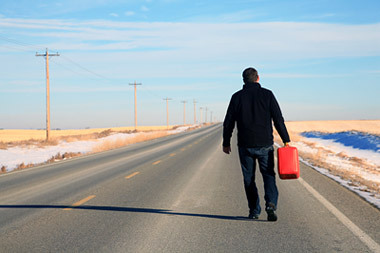 When your body is low in fuel, it does the same thing that you do to your car. When less calories are coming in because you’re dieting, your body sees no reason to keep firing on all cylinders. Like you, it acts accordingly by slowing things down – it will tell your thyroid gland to slow down your metabolism (not what you want when you’re trying to lose fat!). This is why your friend who is only eating 900 calories a day can’t lose a pound. Her metabolism has made the proper survival driven adjustments, slowing so considerably from such prolonged energy deprivation, that anything beyond her rice cakes and hour long cardio sessions will make her weight balloon right back up. And when she does break and find herself at a buffet gorging herself, she’ll pack the pounds back on faster than ever before. And that’s before we even bring nutrients into the picture. If you start to eat half as much food, you get half as much nutrients. When you get half as much nutrients, your body goes haywire. Your hormones get out of whack, you can’t sleep at night, you have no libido, you get depressed, and you can’t think properly. Your brain NEEDS nutrients to survive – and when you deprive it of them, you’re in trouble. When I was distraught with my failures as a personal trainer to help my clients and myself, I turned to books, interviewing experts and doctors, and getting heavily into health research. During this time, I developed a powerful mindset. That mindset is to question EVERYTHING – especially when it is related to your health. Which is exactly what big industries and governments DON’T want you to do. They want you to live in ignorance and eat the same crap, buy the same gizmos, gimmicks, and drugs to mask your unhealthy symptoms — never addressing the real problems. If the governments and corporations were presenting themselves to the public as the “good guys”, then I definitely had joined The Dark Side. The Dark Side provides for you a complete code of conduct for health living and nutrition so that you can be the healthiest, fittest version of yourself; free of excess fat, depression, anxiety, sweet cravings, sleep issues, low libido, and the signs and symptoms of common degenerative diseases. The Dark Side is the place where health renegades from all parts of the world come to convene. It is where scientists, researchers, authors, and health enthusiasts gather beyond the purview of the all seeing corporate eye. It’s where notes are compared, theories are tested, findings are shared, and ideas are refined so that the best health information will be available for the greater good. The Dark Side keeps it real. It doesn’t apologize for making you feel a bit uneasy or accountable. At first glance, its code is simple yet daunting, logical yet underground. The Dark Side is where I dwell and where you’re going. Following the code is what gave me and countless others their health back. These very same truths have also helped thousands of my clients and viewers as well – as you can see below. In February of 2010, I learned about a very dynamic, full of life, knowledgeable man who begins his greeting with a “Yo! What’s up ya’ll!.” A lot of his youtube videos begin with this lively greeting. I couldn’t resist I had to listen to him. During this time, I was in a phase of my life where I felt stuck. I felt that I had lost control of my life and let myself go. 34 years old at the time, I came to Sean Croxton looking for a different viewpoint on health and fitness—and I mean what it really means to be “fit”. I informed him of my problems with weight gain, constipation, falling hair, cold hands and feet and etc. Sean got me started on an educational program geared towards improvement on my overall well-being. It’s an investment that will last a lifetime and a gift that keeps on giving. He gave me an education that no medical professionals ever talk about. He schooled me up on metabolic typing, grass-fed meats, organic produce, reducing and managing stress levels, improving digestive health, and best of all, learning to listen to what my body is telling me. I have never met anyone in his field that spent this much time as Sean did with me. This may sound like a cliché, but he changed my life because today, I’m a much, much better person, wife, and student: I don’t get cold easily anymore, I went down from a size 6 to a size 4 in jeans/dress pants, I have increased energy, I’m very alert, more intuitive, and more confident, my mind is sharper, and no more constipation! Sean gave me the tools in taking better care of myself and my family and inspiring others to do the same. For this, I am forever grateful…thank you so much, Sean. I hope one day I get to say this to you, personally. I’ve Lost 23 Pounds Without Going To The Gym Or Counting Calories! In the few weeks Sean has been helping me, I’ve lost 23lbs without going to the gym, counting calories, or measuring portion sizes!”I’ve had stomach problems for over 25 years, and been to see numerous doctors, dieticians, naturopaths, and experts, including some well known doctors that had their own TV show in the UK, helping people lose weight.In all that time not a single one of these doctors or health experts was able to identify why I got these stomach problems, or why I seemed to be incapable of losing weight. Regardless of how much or how little I ate, how often I went to the gym, or how hard I worked out, I just couldn’t lose weight. Maybe a few pounds, but it would go straight back on again, plus a bit more! My health has deteriorated over this time, with doctors telling me I need to be on Metformin for the rest of my life to control blood sugar, and beta blockers to control atrial fibrillation. I was feeling worse and worse, unable to stay awake during the day, unable to concentrate on things, and feeling worse by the week. That was when I met Sean. After taking all my problems into account Sean was confident that he knew what the problem was, and sure enough, the tests proved he was right! The other doctors I’d seen always seemed to concentrate on treating the symptoms, didn’t want to listen to me, and were unable or unwilling to look beyond the narrow field that they operated in. It was like they had tunnel vision. Sean’s approach was like a breath of fresh air! For the first time in 25 years somebody was looking at the big picture and taking ALL my problems into account. Sean was able to find the root cause of my problems where everyone else had failed, and now my stomach feels great! The transformation is amazing. But that’s not all. In the few weeks that Sean has been helping me I have lost 23lb, and that is without going to the gym, without counting calories, or measuring portion sizes! No More Overexercising to Lose Weight! I am a 43 year-old male and I have been training with a personal trainer and nutritionist for the past 3 years. I lost weight, but I really never reached my goals of weight/fat loss and muscle gain. I also had a difficult time keeping the weight off. My workouts were long, exhausting and I was at the point of doing more harm than good. I was living off the premise, less food; more exercise was the right thing to do. Boy, was I wrong. After a long period of restrictive dieting and hard work outs, and getting very little results in fat loss, I was not only frustrated but mad that I have wasted money on the “experts”. I knew there was an underlying reason why I couldn’t reach the goals I was working so hard to achieve, yet the answers were the same, less calories and more gym time. I was determined to understand the real reason of what was going on. I did a search on nutrition on “You Tube” and here pops up Sean’s face, enthusiastic attitude and wealth of knowledge. I couldn’t get enough information. I spent the day researching Underground Wellness and Sean to learn more. I started with Sean the next day. I have been working with Sean at Underground Wellness for the past 6 months and I have taken all the recommended tests. Since I live in New Jersey and Underground Wellness is in California, I thought that it would be difficult to manage my health cross country. Through telephone consultations and email, Sean has made the program easy to manage the logistics, and has been there when I needed. In the past six months Sean has diagnosed me with an underlying GI/digestive issue that I have had for many years along with food sensitivities which is causing Stage 3 adrenal fatigue and Low T. Currently, Sean has me on a program to heal and repair these issues along with a custom diet which is made for my metabolic type. I am feeling much better, my weight is in control and more recently I have started to see a positive change in my appearance. I finally feel I am on the right path to improving my health and reaching my personal goals. It’s not all about working out hard and restrictive diets, its all about understanding your body. UW is the most thorough health and nutrition program I have ever experienced. Sean is the real expert in this area. Thanks Sean! I can’t wait to see where I will be in another 6 months with the program. As a former restrictive eater, I really appreciate what Sean has done for me with metabolic typing and advising me on changing my habits, especially the habit of not eating enough. I had spent five years eating between 700 and 1000 calories a day and working out 5-6 days a week with suboptimal results. By changing my perspective on food and eating right for my metabolic type, I’ve actually lost weight even though I’ve been eating more than I used to! It’s not just a matter of how many calories, but the kind of calories that is right for each individual. I was quite skeptical at first about the idea of eating more – I was sure I would gain weight. But, in truth, the opposite has happened! Now I can stop worrying constantly about food and wondering if I’m on the right diet, because I’ve definitely found it. Thank you, Sean!! – Amy E.
I have always had an interest in health and wellness but, I felt intimidated by the wide spectrum of diets, products and professionals telling me what to eat, use, and do! When I discovered Sean and his services, I was able to find myself centered in a position that worked for me. It seemed as if all of those other distractions vanished and I finally understood the true meaning behind health and wellness. I have had so much success with Sean and the program he has me on. He has proven his genuine concern for me and my health by being more of a friend and confidant than anything. – C.L. I Read The Whole Thing In One Day! Thanks For The Hope And The Help! One Of The Most Enjoyable Reading Experiences I’ve Ever Had! If You Haven’t Read This Book Yet, You Need To. One of the biggest challenges people have when learning the best healthy foods to eat is putting them all together into tasty meals. The Underground Wellness Cookbook solves that problem, providing you with over 80 breakfast, lunch, dinner, snack, dessert, and juice recipes. Even better is that each recipe includes an exclusive, follow-along video so that you can actually see and follow us make each recipe. 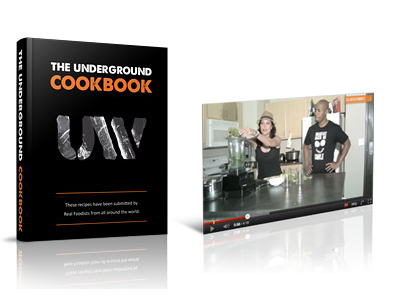 There are over 40 exclusive videos in the Underground Cookbook – all of them adding up to an incredible set of awesome meals. We’ll literally bring you into the kitchen with us and have you follow along as we create amazingly delicious (and healthy) meals. 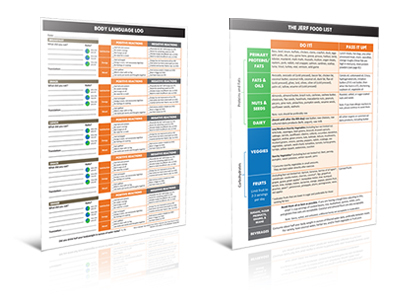 Along with the Dark Side of Fat Loss manual and cookbook, we provide you with the printable JERF Food List and Food Logs so that you can easily follow along with the JERF diet, and make sure you’re always on track for better health. The JERF food list will tell you exactly what foods you should eat according to the JERF food plan, and with the Food Log, you can track exactly how each food makes you feel, and ultimately tailor the perfect plan for your body. 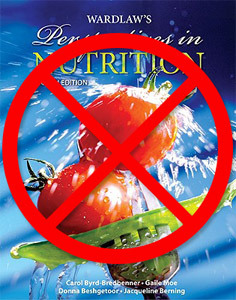 WARNING: This is not for the “magic bullet” seekers and the “quick fix” people. There is no “magic” inside of this book. The Dark Side of Fat Loss is a complete lifestyle change. You WILL be required to do work. It can be considered “hard”. But the lifestyle improvements you will gain make it more than worth it. No, the information is available for digital download immediately after purchase. 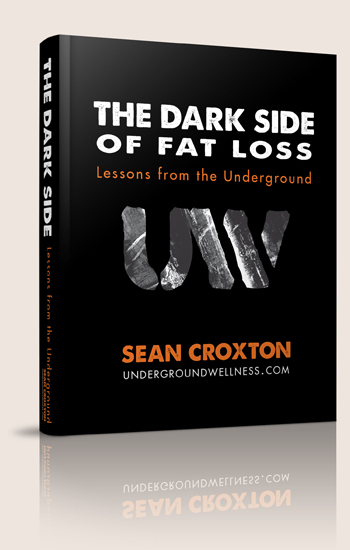 There is no hard copy version of the Dark Side of Fat Loss available currently. There may be one available in the future. There are hundreds of links inside of the Dark Side of Fat Loss – these links include podcasts, videos, and additional resources that you can use to further your health education and we wanted to make it as easy as possible for you to access these resources. There is a printer friendly version provided if you would like to print out The Dark Side of Fat Loss. Then it’s all free. If you follow the criteria laid out in the manuals and components of the Dark Side of Fat loss and still have no success, we will provide you with a prompt and courteous refund – no questions asked.